U.S.-IANA. (1650-1950). 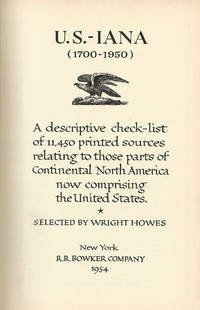 A descriptive check-list of 11,450 printed sources relating to the continental parts of Continental North America now comprising the United States. New York. R.R. Bowker Company 1954.. 1st Edition. Hardcover. Book tall8vo, 25.3cm, First Edition, 656p., double-column, original dark blue buckram, gilt spine titles, some general wear on the binding, very good condition. (bks) The indispensable reference for Americana.Bob Paulsen told me that someone in the book trade (I forget who) new to the trade had approached Wright Howes and offered to work for free thinking he could learn the trade from the best practitioner. Howes listened, considered and then replied "Young man, its taken me fifty years to learn to relax in the booktrade, and now you want to put me back to work. no thanks". Bob Paulsen was another great citizen in the trade in the sixty, seventies and into the eighties who was well known as the expert on Rockwell Kentiana. . Title: U.S.-IANA. (1650-1950). A descriptive check-list of 11,450 printed sources relating to the continental parts of Continental North America now comprising the United States. 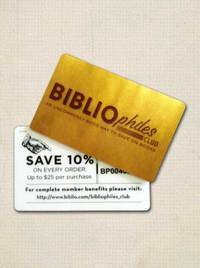 Publisher: New York. R.R. Bowker Company 1954.